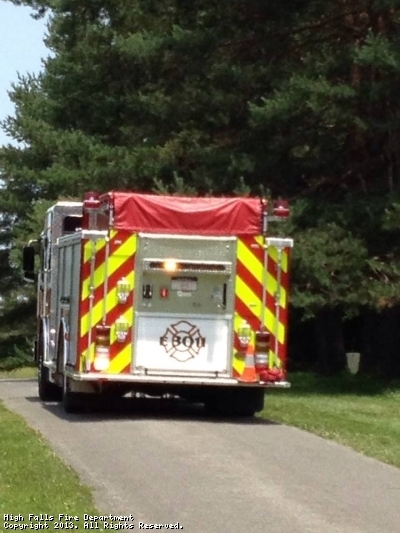 THE HIGH FALLS FIRE COMPANY VOLUNTEERS ARE COMMITTED TO PROTECTING LIFE, PROPERTY, AND THE ENVIRONMENT THROUGH EDUCATION, PREVENTION, AND PROVIDING EMERGENCY SERVICES. 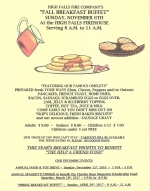 The High Falls Fire Company semi annual Breakfast Buffet is happening November 4, 2018. Come and celebrate the time change, fall colorsand great breakfast food. This site has been viewed 47,536 times.